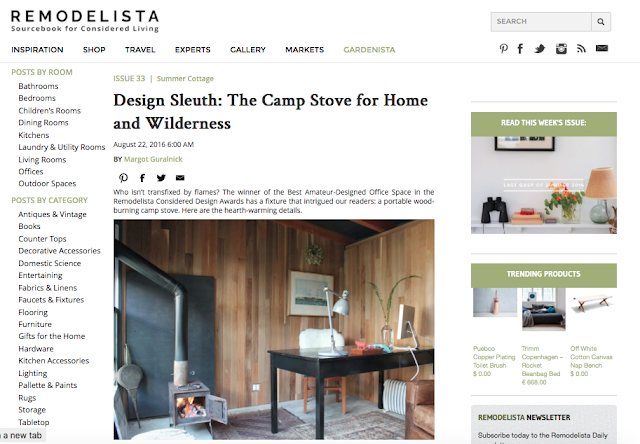 Last week I had a nice surprise when Remodelista reran a piece about the portable camp stove I installed in the shed a few years back. I very much admire the style and content of this site (a daily check in for me), so I am always super flattered when they pick up any of my content. See the story here.